The Rail+ by Aeris is a ballistic-grade polycarbonate modular case that takes its stylish design and puts it to good use. Aeris may or may not have borrowed SwitchEasy's hybrid TRIM case design and turned it into a way more functional case in the process. 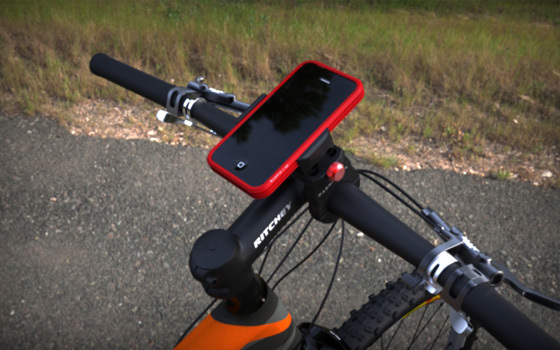 The Rail+'s side grooves serve as a robust and secure attachment railing for various Aeris accessories including a handle bar bike mount, metal kickstand, front and back clear polycarbonate visors for extra glass protection with even more future accessories lined up such as a battery backup extender. Aeris' Rail+ case is fitted with an integrated CNC machined stainless steel sleep/wake power button and comes with a clear polycarbonate back cover for full back protection. 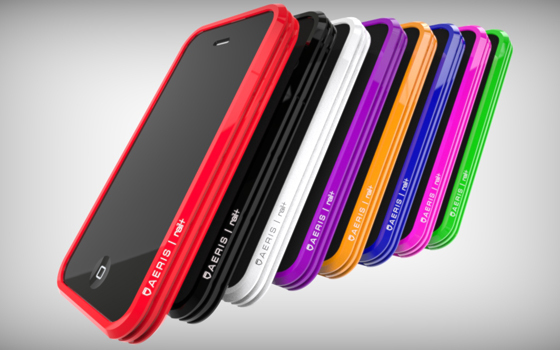 The Rail+ case for the iPhone 4S and iPhone 4 is now up for pre-order on Kickstarter starting at $26, and is available in 8 colors.